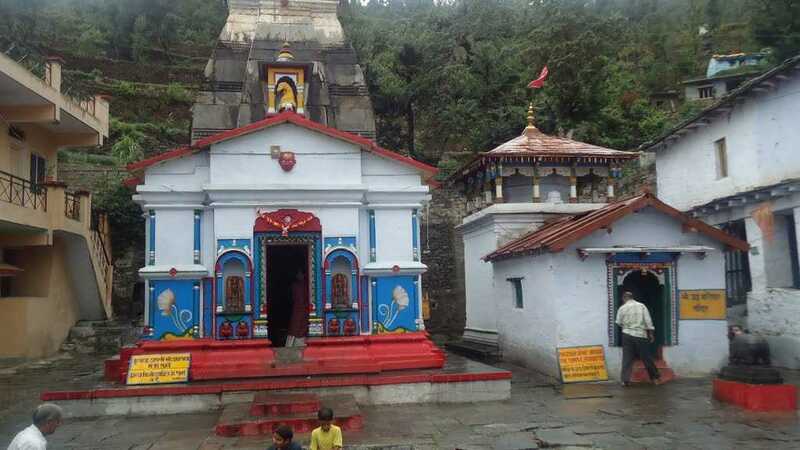 A popular temple town called “Guptakashi” is located at a high altitude of 1,319 meters above sea level in Uttarakhand. This town is situated in the Rudraprayag district. This hamlet along with the city of Varanasi is also considered to be extremely “religiously significant” for Hindus. In addition, a number of temples such as the Vishwanath Temple and the Ardhanareshvara Temple are located in this religious town. Furthermore, the beautiful Chaukhamba mountain peak provides this town with an extremely picturesque backdrop. The ideal time to visit this town is in between March and October as a result of the climate being pleasant with, the temperatures ranging from a maximum of 17 degrees Celsius to a minimum of 12 degrees Celsius. The railway station closest to this sacred site is located in Rishikesh. The Rishikesh Railway Station is well connected to major cities in the country. If you intend to drive to this temple then the ideal starting points would be New Delhi, Haridwar, Rishikesh, Gurugram, and Dehradun. There are two routes from New Delhi to this temple, and they are via NH334 and NH7. There are two routes from Haridwar to this temple, and they are via NH7 and NH34. There are two routes from Rishikesh to this temple, and they are via NH7 and via NH34. There are three routes from Gurugram to this temple, and they are via NH334 and NH7, via NH9, and via NH7. There are three routes from Dehradun to this temple, and they are via NH734, via NH34, and via NH307. The nearest airport to Haridwar is located in Dehradun. The Jolly Grant Airport in Dehradun is well connected to major cities in the country. There are many legends associated to this holy town. For example a popular folklore states that soon after the great “Kurukshetra War” the Pandavas on the advice of the Lord Krishna and other great sages decided to seek redemption from Lord Shiva for the sins they committed during the war. Unfortunately though Shiva did not want to meet them since he was annoyed by the tactics they used to vanquish the Kauravas. So to avoid them completely he took the form of Nandi the bull and travelled up to a small town in Uttarakhand. However the Pandavas recognized him, and as a response to being identified Shiva disappeared and reappeared in five different spots namely Kedarnath, Tungnath, Kalpeshwar, Rudranath, and Madhyamaheshwar. So as a result of his disappearing act the small town from which he initially disappeared was named Guptakashi which means “hidden kashi” or when literally translated means “Hidden Shiva”.